Which Pencils Are Best For Beginners? Whether you are learning to draw, or experimenting with sketching. Or shading, rendering or creating a rough draft of a soon-to-be masterpiece. You’ll need to know what the best pencils for sketching are. Using different drawing techniques, the use of pencils can have a stunning effect. There are hundreds of pencils on the market and finding the perfect set can be a tad overwhelming. That’s where this post has you covered. We’ve done all the research for you, so you don’t have to. We’ve spent many hours scouring top authority sites. We’ve also read countless reviews to come up with this comprehensive list. Get ready to be one with your best drawing pencil and create magic! Consistency and smoothness of graphite drawing pencils are essential. This will ensure it produces the effect that users are expecting. Be sure to watch out for leads that scratch the paper, you don’t want that in your drawing experience. Some leads may grip the paper more than others, and that’s okay. None of us are perfect, and sometimes there is a need to fix a mistake by using an eraser. You want to be using pencils that erase well and won’t leave smudges. You do want your finished drawing to look good! Carefully crafted pencils made with high-quality wood. When sharpened the shavings are clean. Well made pencils are less likely to break. A bonus of this is they don’t have chisel-sharp broken tips or splintered ends when sharpened. Experimentation is critical when you are first starting on your drawing journey. 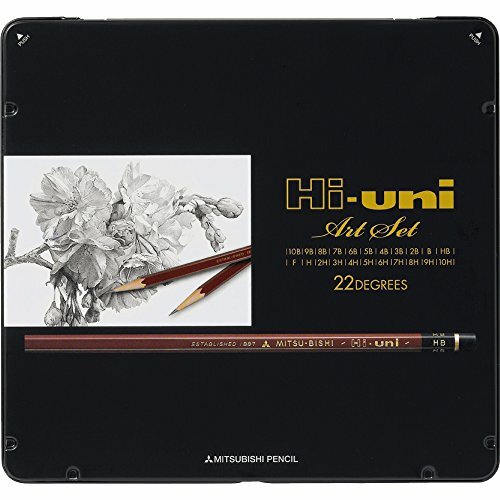 The best drawing pencil set for beginners needs to have a range of options. This allows you to work out what suits your style and what you create with different leads. Buying a selection of the best pencils for drawing with different grades would be a great way to start. Do you consider yourself someone that can’t draw? The video below shows some simple steps to prove that you can! In the middle the two grades meet. This is where you will find things like HB, B, F (fine point) and H. Hard pencils are lighter in tone while soft pencils are darker. 9H 8H 7H 6H 5H 4H 3H 2H H F B HB 2B 3B 4B 5B 6B 7B 8B 9B. 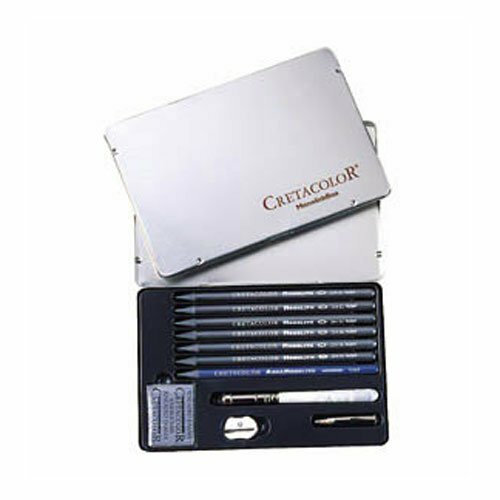 Good for drawing details and preliminary drawings that you may not want to be permanent. Help blend the edges of darker areas for a gradient effect. 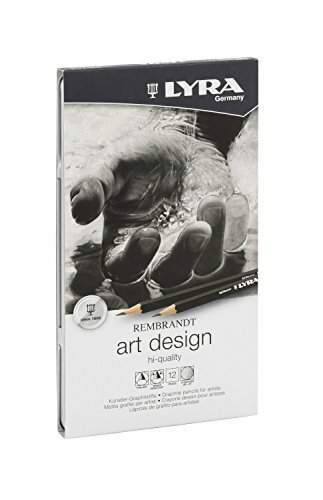 Soft, dark pencils with high proportions of graphite. Become blunter quicker than other grades, but they are also smoother. With different levels of pressure, these pencils produce the most variation between light and dark. Excellent for filling in dark areas, like shadows and facial contours. The middle grades contain relatively balanced levels of clay and graphite. The standard sketching pencil is HB or 2B. 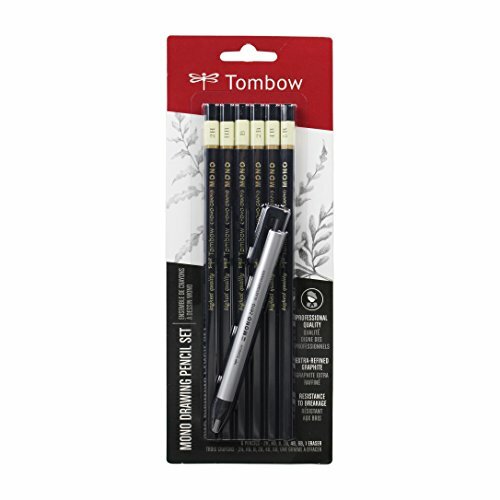 Many people recommend this a great all-around go-to pencil, due to the lead falling between soft and hard. Learn shading applications such as hatching, cross hatching, blending, rendering, random or squiggly lines and stippling. Find out how to create the illusion of light with shading. Follow Darlene’s easy step by step tutorial on creating a realistic eye. Do you hold your pencil correctly? In this video, drawing educator and a painter; Stan Prokopenko, will show you a brilliant method of making your strokes more precise and less tiring. Drawing mandalas can be very relaxing, and it’s you who decides what the final result is supposed to look like. So it can’t go wrong! Follow Thaneeya’s step by step tutorial. Fan art is a great way to show your appreciation towards the creation of others. Do you like Pokemon? Then you’ll love this series of simple tutorials! Learn how about the proportions of the face, the eyes, nose, ears and lips in this tutorial. How To SKETCH Like A Pro! – Tools, Tips, and Tricks! Being able to sketch is an essential part of any artist’s toolbox. From a rough first draft to a finished masterpiece. Sketching is a rewarding and straightforward art form. Anyone can do it. However, like any art form, it can be challenging and tedious. So for many people, this can end up as being more frustrating than enjoying. No one wants that, do they? Draw with Jazza has a fantastic video on how to Sketch, with tips, tricks, hints and more. From those starting to those who have honed their craft to perfection. This video has something for everyone. From beginners to experts, having the right tools for your sketching needs is a great start. Having good drawing pencils is key to success. 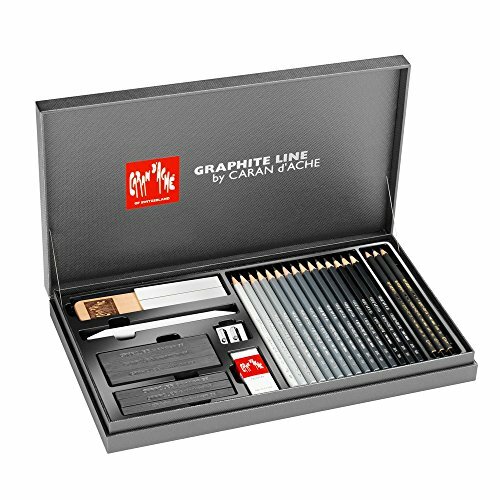 Here are some recommendations for graphite pencils. Superb quality black lead pencil. High-density graphite encased in cedar wood. The manufacturing process ensures that the lead is centered within the wood casing, making it break resistant and easy to sharpen. Very high-quality drawing pencils. 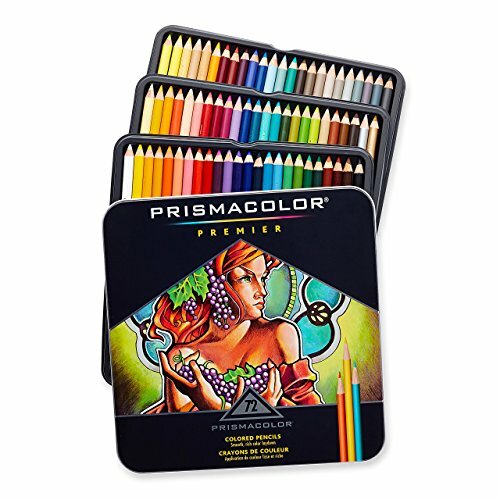 These pencils offer slightly darker color and are softer than other brands. Very easy to sharpen cleanly, They are exceptionally smooth and come in every grade from 10H – 10B. 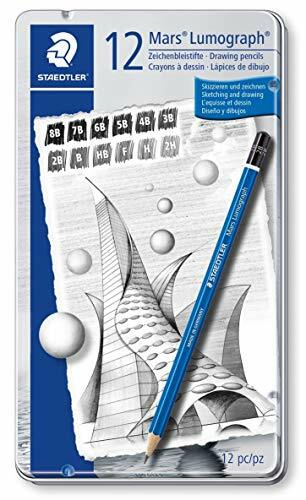 Caran D’Ache in Switzerland is the country’s only pencil manufacturer and has developed luxury crafted graphite pencils. 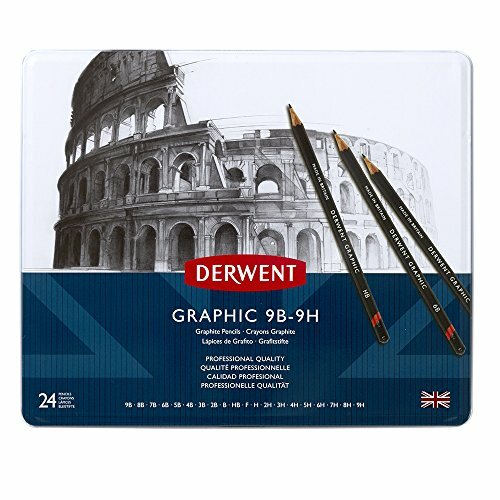 These pencils have been carefully developed to offer all the different shades of black, thick and thin lines and a range of effects. The most luxurious pencil and for most, well worth the investment. The consistency of the graphite encased in the quality wood is a wonderful feature of this pencil. Sharpens to a fine point and the bag that they come with are perfect for travel. Contains different grades of hardness and have superior black, break-resistant leads. Cretacolor Monolith are woodless pencils that range in hardness from HB to 9B. These pencils have a protective lacquer coating and are easy to sharpen. Users have noted the comfortable weight of these pencils: not too heavy, not too light. These are woodless pencils have high quality graphite and sharpen consistently. Range of grades with strong points. 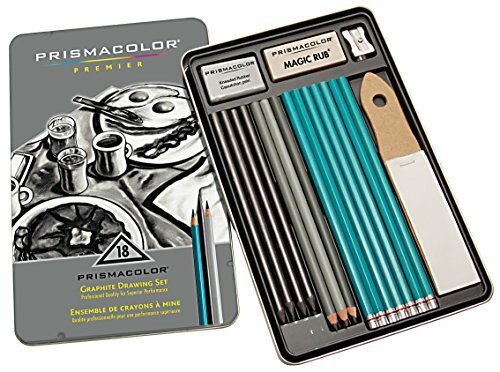 Includes: 7 Turquoise drawing pencils (8B, 6B, 2B, B, 2H, 4H & 6H), 4 woodless graphite pencils (2B, 4B, 6B & 8B), 3 water-soluble graphite pencils (HB, 4B & 8B), 2 erasers (Magic Rub vinyl & kneaded rubber), 1 steel sharpener and 1 sanding board. These pencils are extremely break-resistant due to how they have been manufactured. They erase cleanly and the casings are made from sustainably-harvested cedar. Sharpening is a breeze with no cracks or splits. 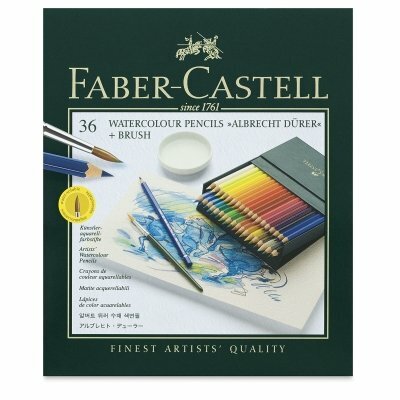 When in use they are smooth on the paper and easy to control. Excellent quality and craftsmanship. They draw smoothly and the range of pencils allows for crisp, detailed work. They blend beautifully and sharpen well. Users commented on how comfortable they felt in their hand. Sick of sharpening your pencils? Mechanical Drawing Pencils are the answer! Traditional drawing pencils have the lead or graphite bonded and encased in wood. 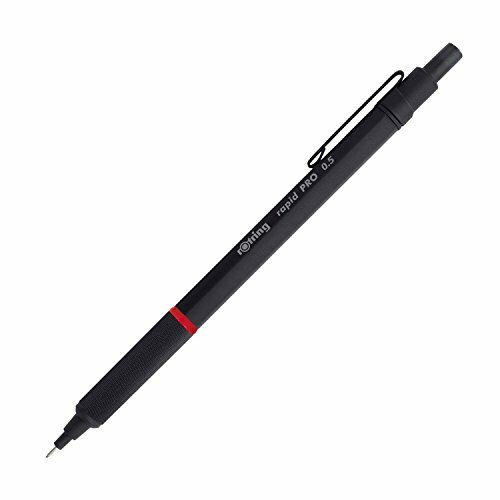 Not so the mechanical pencil, they have a lead or graphite core that is extendable and also replaceable. The outer casing is often made from plastic or metal with comfortable grips. Obtaining different lines is very important for sketching. Having different lead thicknesses offers more variety in the effects you can achieve. 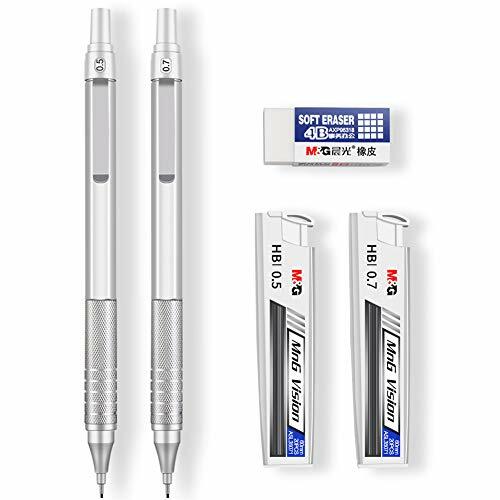 A 0.3mm mechanical pencil is commonly used for detailed drawing. The 0.5mm is frequently used for technical drawing. But it has been found to be very versatile to create all sorts of styles. 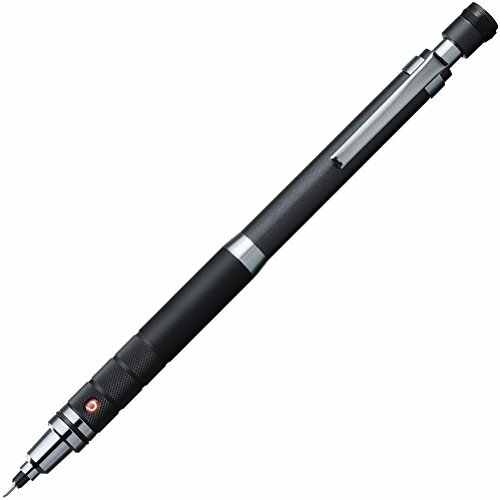 Plastic, Metal or wood barrels, are the choices in casing materials for mechanical pencils. Choose one that does not easily crack or break with consistent use. How a pencil feels in your hand is something you can only figure out. The comfort you experience during your sketching sessions is essential. Particularly if doing so for many hours. When choosing a mechanical pencil, considered the availability and cost of the lead/graphite refills. – As we mentioned before, you may be sick of sharpening a wood-cased pencil. Mechanical pencils require no sharpening due to their thin lead. – The balance of a mechanical pencil stays the same. Unlike a wood-cased pencil which grows shorter as it is sharpened. – You can keep a sturdy, durable mechanical pencil for years! You only have to refill the leads. Perfect for sketching and drawing. The barrel is made of metal but is comfortable to hold and feels balanced in the hand. The non slip surfaces with small ridges is a great feature. Due to the design of the sliding sleeve, breakage is at a minimum. There is a built-in sharpener under the push button cap. The company offers a limited warranty of 2 years from the original purchase date against defects in materials and workmanship. Comfortable in the hand, with good weight and balance. The measured lead advance mechanism is a feature of this design, with a compact and well balanced barrel. A luxurious look with a perfectly engineered barrel click attachment. Excellent design, look, solid feel due to the metal barrel. Great balance and the lead extender action users have said has a very satisfying click to it. 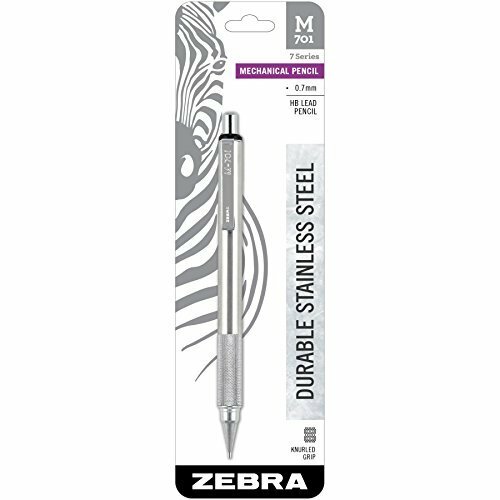 The metal lead guide retracts into the pencil body to keep it safe from bending. 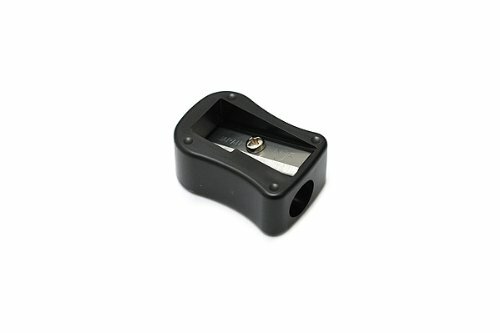 The eraser sits inside a metal sleeve so that it does not get pushed into the lead reservoir. The lead guide retracts by springing open the shirt clip with a push of its top. Comfortable feel in the hand with a balanced weight. The barrel is made of metal and the knurled long grip is helpful in keeping steady. The rotating lead mechanism always keeps the tip sharp. Easy-to-hold and well balanced. 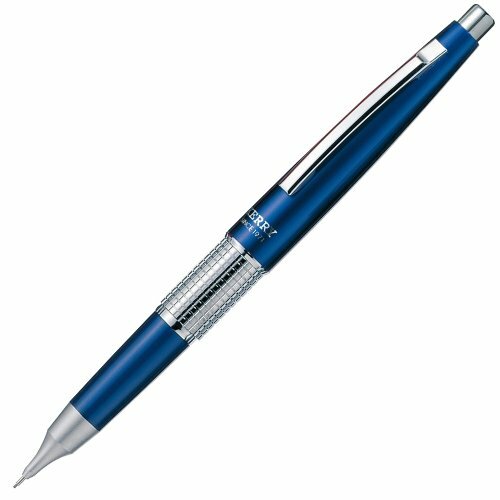 Like most other mechanical pencils this also features a knurled metal grip providing good stability. It has Stainless steel barrel making it sturdy and dependable. A stylish and well designed mechanical pencil. Featuring a soft and comfortable grip, neutral balance and feels solid in the hand. The retractable nib protects the lead. Gel Grip helps reduce reduce finger fatigue. The pencil feels comfortable and sturdy. 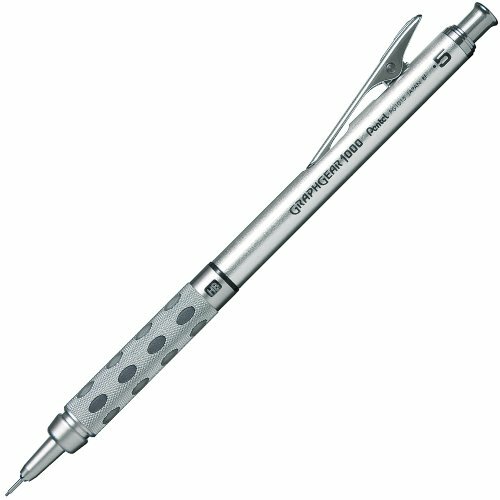 There is an option of a shakable mechanism to pop its lead out or use a thumb to click on top of the mechanical pencil. Colored pencils bring wonder and delight to an art or craft project. Here are some recommendations for the best sketching pencils. Fabulous for blending and shading. The thick, soft lead is resistant to breakage. The colors are vibrant and the pigments are water-resistant, smooth and light-fast. Encased in quality cedar wood, with bonded leads that are hard and keep a sharp point for longer. The colors are vibrant and are oil based. Easy to erase and a breeze to sharpen. 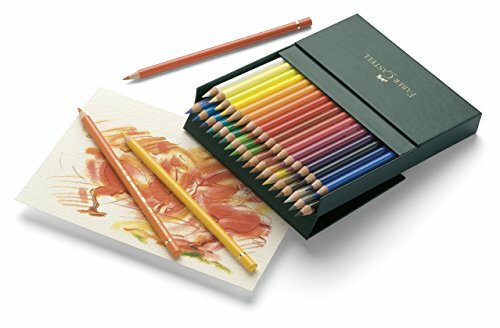 High-quality watercolor pencils. The leads are smooth. Their vibrant pigments enable stunning watercolor effects when water is added. There is something therapeutic about the sharpening of a pencil. Watching the wood shavings being removed to reveal a pristine, precision pointed lead. Having a range of superb quality pencils for all your arts and crafts projects, means you want a high-quality sharpener. This helps to maintain your beautiful pencils. There are so many sharpeners out there to choose from. 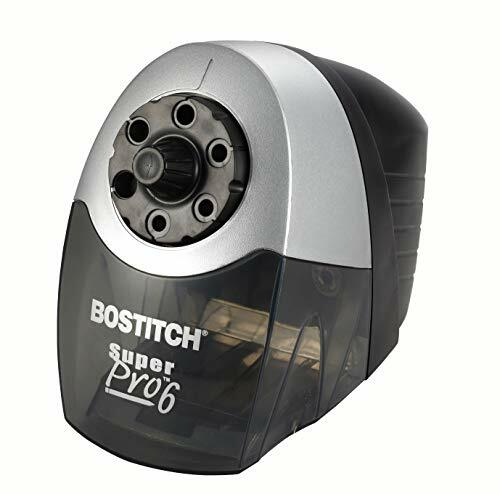 So in this post, we share the factors to consider in the best pencil sharpeners to help make it easier for you to decide. 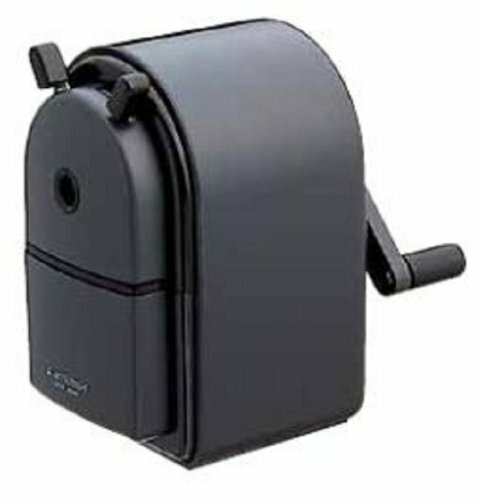 With our guide, you’ll be sure to find a pencil sharpener to suit your needs. Pencils can be found in circular, triangular or hexagonal shapes. There are some sharpeners designed to suit a specific shape. But most can be used to sharpen the different forms. Which angle do you prefer? Do you like your pencils to show more lead, allowing you to use the pencil a bit longer? You’d be looking for a sharpener that uses a larger angle. The advantage with sharpeners that give smaller angled tips tends not to break so often. They’re also sturdier. Are you in the sharp tip or rounded tip camp? Do you prefer super sharp tips of the lead point or a blunt, rounded tip? Some sharpeners chew through pencils, and this leads to breakage and waste. You want a sharpener to do its job with precision without damaging the pencil. Do you like your pencils to remain pristine? If you love the look of clean wood with no graphite marks. Then you’ll be looking for a sharpener that leaves no residue. 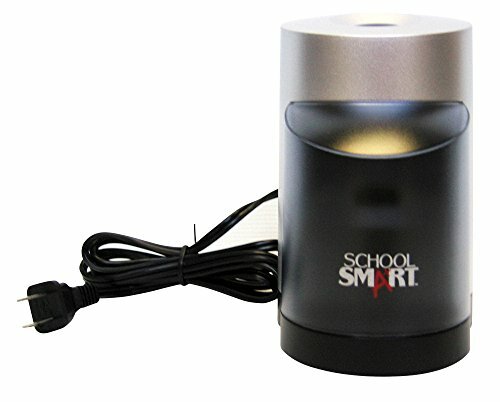 Next, we cover our recommendations for the Best Electric Pencil Sharpeners. Keeping noise and distraction to a minimum is most classroom teachers aim. Having a electric pencil sharpener which does the job quietly is preferred. 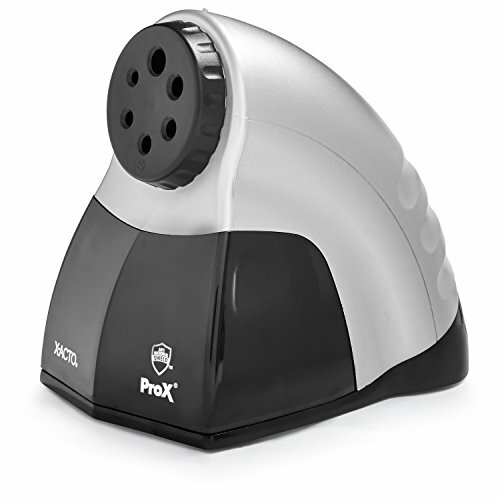 The X-Acto ProX Classroom Electric Pencil Sharpener fits the bill. The heavy duty motor can handle a large number of pencils on a regular basis. Six different slots means different sized pencils can be sharpened. With a large capacity for shavings, the amount of times it needs to be cleaned out is reduced. 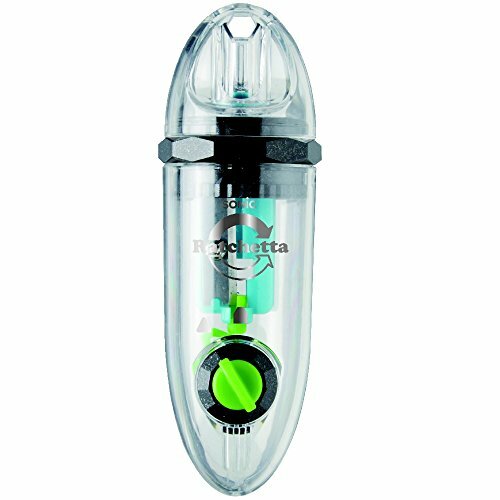 The Flyaway cutter safety feature protects children’s fingers. When the pencil is sharp enough the motor shuts off. The helical steel cutter enables sharpening to occur on a single try, thus saving time. The high quality helical blades ensure that pencils have a sharp point and the auto stop feature means that you can’t over sharpen your pencil. The machine detects when the point has reached the ultimate sharpness and shuts off. The non skid rubber pads on the bottom of the device gives it stability during sharpening. The medium sized shaving container means you will need to clean it out more often. 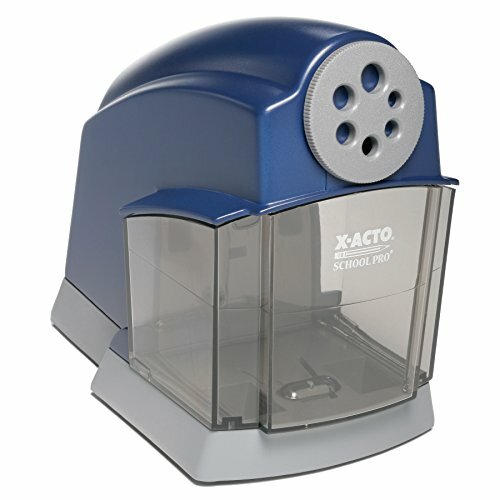 Another X-Acto sharpener that is sturdy and durable, perfect for classrooms, home or office. The range they make all have quiet motors and feature helical steel cutters for sharp rounded points. The Flyaway Cutter system safety feature makes sure kids fingers are safe. 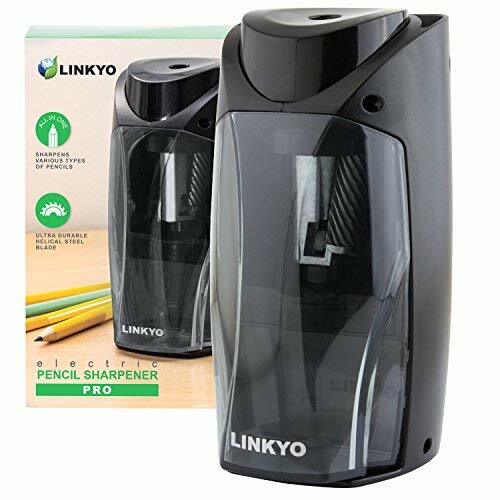 If you have minimum power outlets then this is the sharpener for you as it is operated by 4 AA batteries (Not included) when purchasing. Heavy Duty ability but light in weight. Artists will be able to sharpen a wide variety of pencils either lead or colored. The removable tray for shaving is easy to clean and put back in place. Lightweight and battery operated it is perfect for use at home, the office or throwing into a back pack. 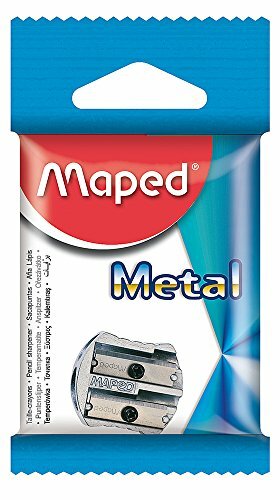 The safety features include automatic shut off if any of the main parts are not in place and when the pencil is perfectly sharpened. 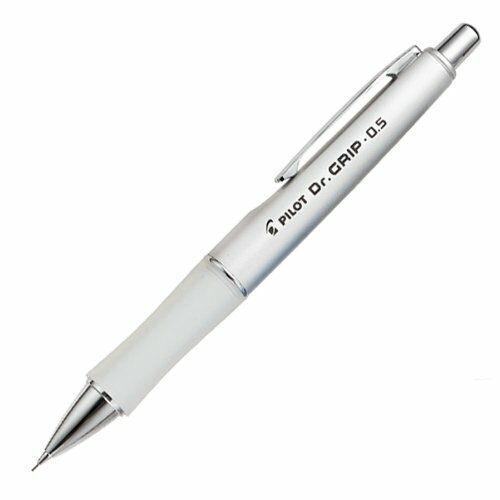 Auto Stop Feature – Device won’t start unless everything is in place | Shuts off when pencil is sharp enough. A space saving sharpener with it’s vertical design is up for the challenge to sharpen both graphite and colored pencils. If using sharpener for predominantly colored pencils, they do recommend to sharpen a graphite pencil after the 10th colored pencil. This helps to lubricate the blades and keep them in good working order. A range of pencil diameters can be sharpened from 6.5mm to 11mm. The large pencil shavings tray means you don’t have to empty it as often. Smart Stop technology maintains sharp points every time. The built in safety switch disables the device if the front cover is removed. Perfect for home use. Able to sharpen both colored pencils and regular pencils. Safety features – safety switch disables the sharpener if front cover is removed. Able to sharpen a variety of pencil diameters. It’s large sturdy design with a quiet motor with built in cooling fan is built to last. Tip Saver technology prevents over sharpening. – Use a toothbrush to brush off the blades to keep them clean and sharp. Easy to use, portable and sharpens points to a long sharp point. High quality carbon steel blades. Seriously long points are obtained using this 2 step process sharpener. Although this model looks very much like the old hand cranked classroom sharpeners, this one is more effficient and better looking! This sharpener doesn’t look like much but it has been specifically designed for colored pencils. Due to the delicate nature of colored pencil lead, it can break more easily. 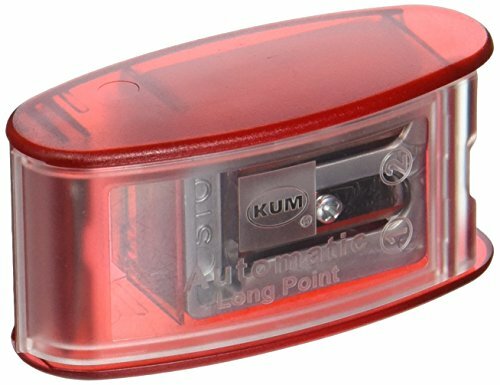 With this sharpener there is no such hassle, it gives a short, sharp and clean point. Great for colored and graphite pencils alike. This “ratchet” system allows you to twist the pencil back and forth instead of having to re-grip it as you twist and sharpen. 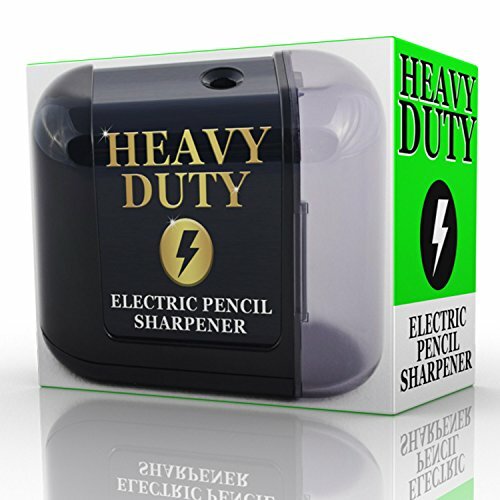 Great for sharpening chunky pencils but can also sharpen standard 8mm pencils. One thing to be aware of is that it can leave slight chips on the wood and pencil point. – Check from time to time the tip of your pencil as you sharpen it, if you can’t see the tips as you work. I hope that these recommendations help you make a decision on what drawing pencils you should purchase. Remember, it is always a personal decision when it comes to choosing your art materials. But hopefully, what I’ve presented here helps you make a more informed purchase.